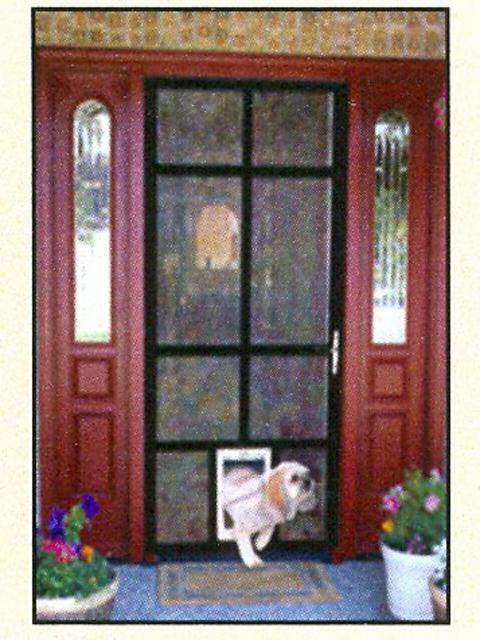 We make custom pet doors in most of our designs. You can select the opening flap size to fit your specific pet. Leave your prime entrance door open and feel secure that you Security Pet door will keep people out while allowing your pet to come and go as necessary.